New HTC One price revealed? The new HTC One is the next big anticipated phone of 2014, and the price of the handset might have just been leaked online. Mobile Fun is pricing the phone at £579.99 (around $968, AU$1080), however the validity of this pricing is unfounded beyond the claims of the site itself. A spokesperson from Mobile Fun told TechRadar that the price had been confirmed by one of the site's suppliers who will be shipping the phone the moment it goes on sale. Given the lack of any other source information, we'll remain cautious about this one for now. The HTC One went on sale for about £500 when it launched last year, so this price is a little higher than expected although not ludicrous enough to be totally unbelievable. Not long to go now, anyway. 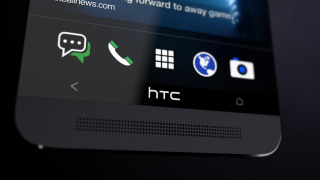 The new HTC One will be revealed on March 25.